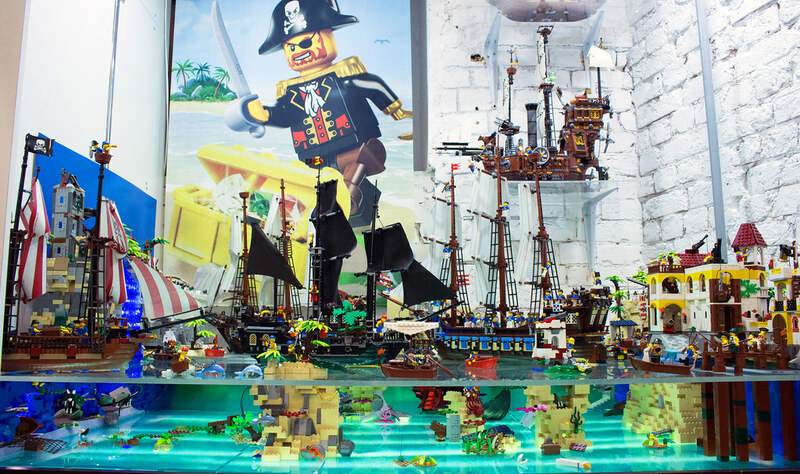 I`d like to present you LEGO Pirates display on my exhebition GameBrick. There's so much going on I think I'll have to revisit the flickr album multiple times just to catch it all. I probably love the rowboat with the hole in it the most. The only things I can possibly think you could add to this would be a custom ship or seagulls. This is an awesome display! 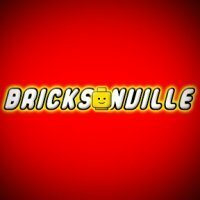 So much going on and great builds throughout! Keep up the fantastic work! These pics are great fun to look at, it looks a brilliant display. 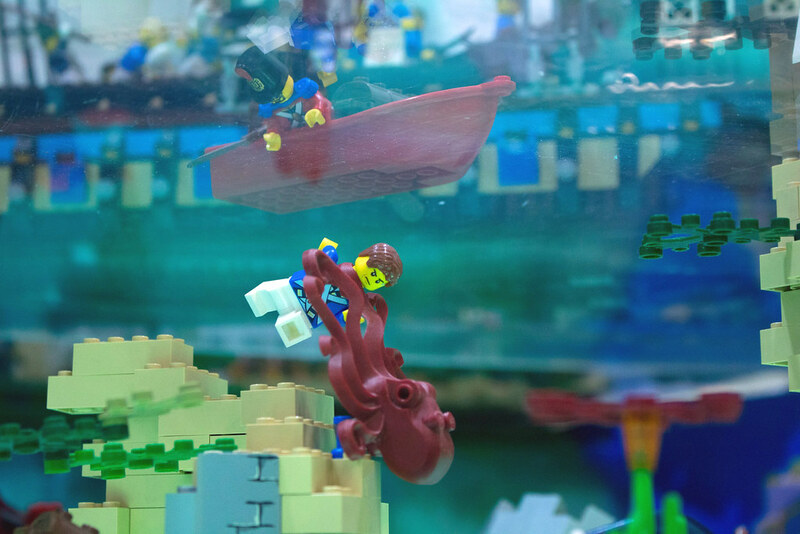 I really like how you've got stuff going on under the water as well, that's a very clever and original idea. This is fantastic work! 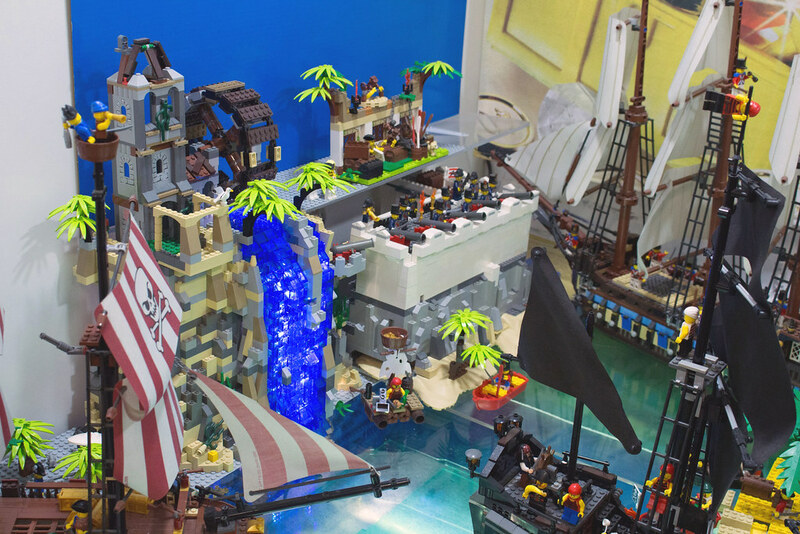 I love water scenes and the pirate theme, and your waterfall is amazing. I really like how you set up the underwater section. Great work! This is a amazing display ... I love the use of plexiglass for water ... Gives a nice effect. The underwater is well done plenty to see without being to crowded. As far as a video of the whole museum I personally would like to see short videos of each of the displays. Just now saw this. Awesomeness!! Really love the above and below water level split, well done! But where did the sharks go? Amazing!! 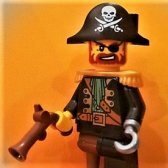 Where did you get that poster of Brickbeard? It's huge with really exciting scenes! The underwater part is a great idea.